Laos' premier on Wednesday said the Communist country will press on with its ambitious hydropower strategy after a dam collapse killed dozens, but vowed to intenisfy scrutiny on the lucrative mega projects. The rare public comments from prime minister Thongloun Sisoulith came during a World Economic Forum panel in Hanoi, weeks after July's dam disaster in Attapeu province. An official tally given by Laos' secretive government said 35 people died in the collapse of the Xe Pian Xe Namnoy saddle dam, a Korean-built structure which had not yet been completed. But testimony from locals suggests the toll may be much higher with several villages swept away and buried under thick mud. Since the disaster Laos has suspended all new dam projects, while ongoing hydropower projects will be inspected, premier Thongloun Sisoulith said. "Building hydropower projects is a good way to generate income," he said. "The impact of the incident in July is something we will continue to take into account when moving forward in terms of our hydropower production." All dams should be "based on careful planning and good design," he added. For the past decade, Laos has been on a dam-building spree in an effort to provide electricity to its people and sell power to its Thai, Cambodian and Vietnamese neighbours. Sitting beside Thongloun Sisoulith was Cambodia's premier Hun Sen, who called for more cross-border disaster management. 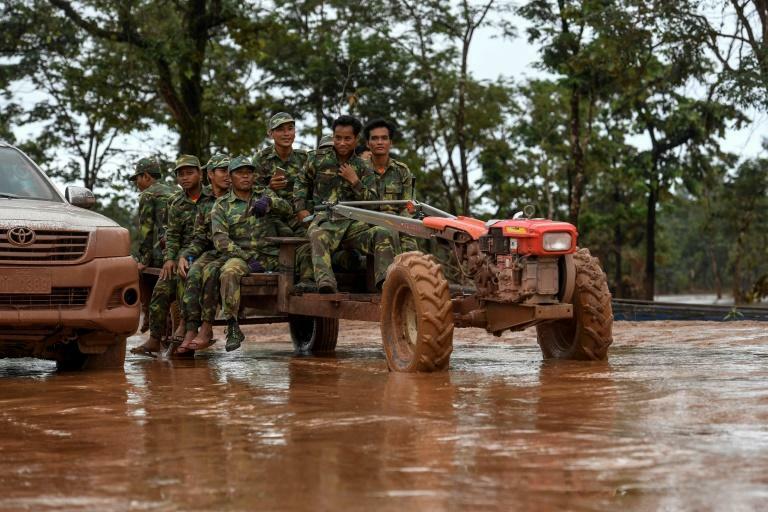 The Attapeu dam collapse in July sent floods of water downstream to northeastern Cambodia that left villages inundated. One Korean firm involved in the project, SK Engineering & Construction, said it was investigating the cause of the dam break and would donate $10 million in relief aid. Thongloun Sisoulith said Wednesday experts are still investigating the cause of the fatal collapse.